Sony revealed at E3 that they'll be bundling Grand Theft Auto V with the PS3. This bundle will be launching alongside the game itself this September. 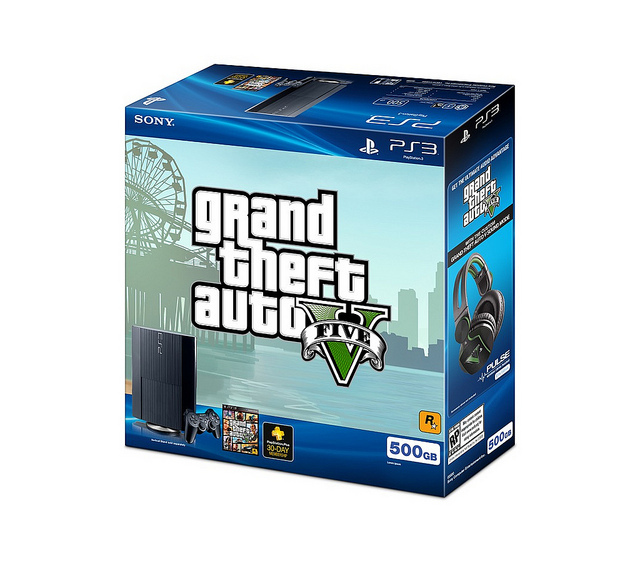 The GTA V PS3 bundle includes a 500GB PlayStation 3, a Blu-ray copy of Grand Theft Auto V and a 30-day PlayStation Plus trial membership. Like Assassin's Creed 3 and Uncharted 3 bundles, this package is priced at $299.99. 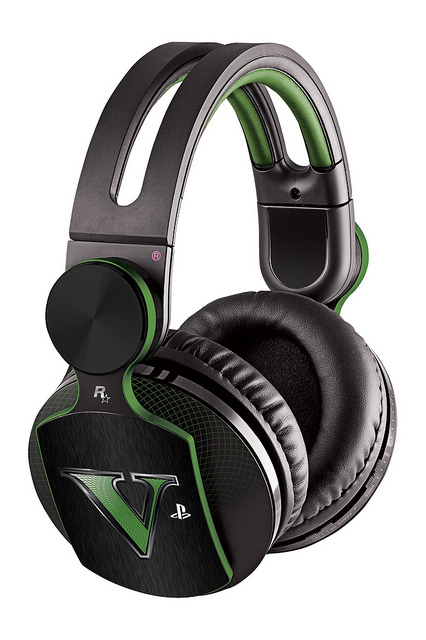 Sony and Rockstar also collaborated on a Grand Theft Auto V Pulse - Elite Edition headset. This headset, priced at $179.99, is green and black with the GTA V logo on each headphone. A custom audio mode can be downloaded for free to enhance the explosions, car crashes and other key sounds in GTA V.
GTA V, the PS3 bundle, and headset will all be available on September 17th.